This time we have chosen a challenge where you won’t be counting blocks or calories. You won’t have many restrictions. We only have one big ask of you that you hit a certain amount of veggies & fruits a day and reduce the amount of processed ingredients in your food. Oh and we like you to stay off the alcohol for most of the time. This challenge is a great way to focus on micronutrients and feel the impact on energy and performance from increasing intake of these plus fibre. How will this challenge work? You will be set a target amount of fruits and veggies you need to eat a day. If you don’t hit your target there will be a penalty but if you hit it you will score points. You will also be set a target to eliminate all foods with the following potentially gut damaging ingredients in the ingredients list: aspartame, monosodium glutamate (MSG), trans fats, high fructose corn syrup, butylated hydroxyanisole and sodium benzoate. If you eat these there will be a penalty but if you don't you will score points. We would like you to stay off alcohol with the exception of the weekends where you can have 2 glasses of your choice. As this challenge is all about a healthy lifestyle we like you to focus on the hours of sleep every evening, which again can get you points. As with all our previous challenges; you will be supported by everyone in the challenge. We will have a private Facebook page where you can ask questions and post your meal ideas to help others. Sinead from Feed.Fuel.Perform will answer your questions once a day and will post all kinds of meal and health tips on nutrition. At the end of the challenge there will be a prize for the winner: 1 month FREE Unlimited ChalkBox membership. 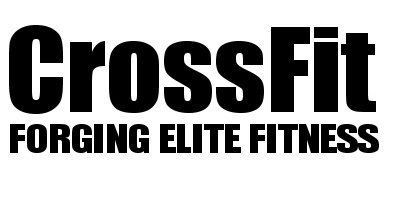 CrossFit ChalkBox members’ spouses, significant others or room mates can play along too. Get the whole house onboard to stay motivated throughout the challenge. Closing time of bookings January 2nd.